Fed up after thirty years of teaching, Deena Sharpe doesn’t know what to do with her life. Sure, she’s ready for a new challenge, but an old family mystery is about to turn her life upside down and inside out. When a Texas sheriff’s office finds a 50-year-old skeleton in their closet, a rookie deputy scrambles to make an identification. That’s when Deena’s family turns to her to uncover the truth about the murder before a conspiracy theory-nut implicates their loved one in his latest book. Can Deena channel her inner sleuth to sift through the clues and protect her family name? With the help of her off-beat brother, she embarks on a quest that brings the past colliding into the present. 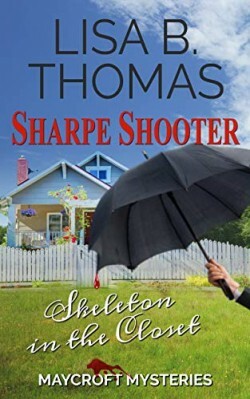 Sharpe Shooter is book 1 in the Maycroft Mysteries. If you like a savvy amateur sleuth with wit and perseverance, check out this puzzling whodunit today!